Choose Sovereign Laboratories... because you know "It's Good To Feel Good!" 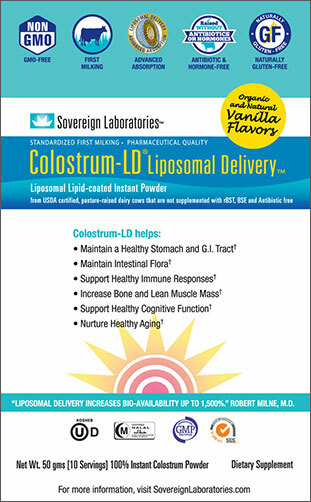 Try Colostrum-LD for FREE. Really! Find our best selling products here. We get colostrum from our mother's breast immediately after birth and for about the first 72 hours of life. In adults, bovine colostrum provides immune and growth factors that helps support a healthy GI tract. Sovereign Laboratories obtains its colostrum from pasture raised dairy cows that are certified to be healthy and not supplemented with rBST* or BSE** and are antibiotic-free. All raw colostrum supplied to Sovereign Laboratories is tested to confirm that it is from the first milking (after the calf obtains its needs) and free of antibiotics, hormones and herbicides. Our colostrum is flash pasteurized according to the most demanding of the International Standards - 161°F for 15 seconds - to ensure the colostrum will reach the organs and cells; and remain bioavailable at the cellular level. * rBST (bovine somatotrophin) - a growth hormone used to increase milk production in dairy cattle. ** BSE (bovine spongiform encephalopathy) - a fatal neurodegenerative disease in cattle that can be transmitted to humans; known as "mad cow disease." 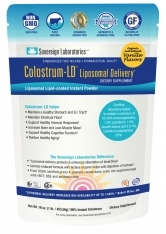 Only Sovereign Laboratories exclusive LD Liposomal Delivery™ increases bio-availability by up to 1500%. 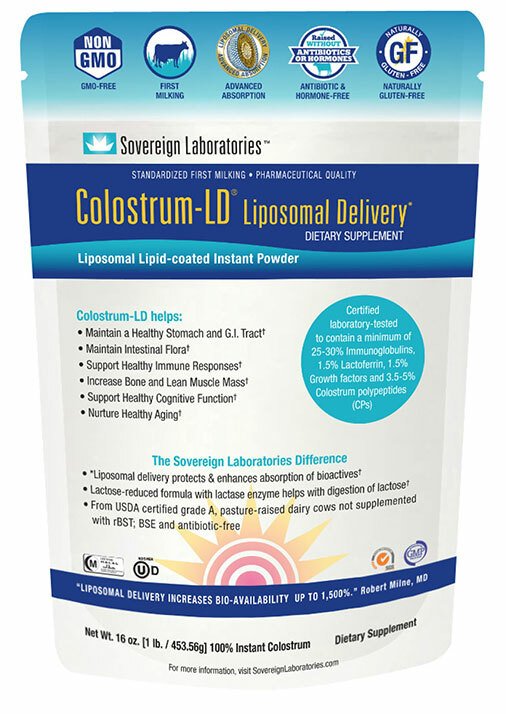 Without the liposomal delivery advantage, key components of the colostrum are destroyed by stomach acids before they can be absorbed by the body, thus reducing bio-availability and therefore decreasing effectiveness. Additionally, clinical studies have shown Sovereign Laboratories colostrum to contain higher levels of key components than other USA and New Zealand colostrums. Among colostrum's numerous immune factors, the most important and powerful are the low molecular weight polypeptides. 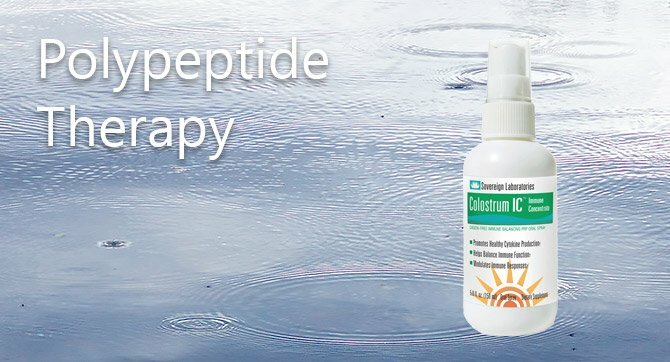 Colostrum-LD has always had the most low molecular weight polypeptides of any colostrum on the market, and has recently been improved to contain up to 50% more than before. These immune factors are critical to proper functioning of the immune system. Bovine colostrum contains up to 40% more of these immune factors then human colostrum, making it an ideal supplement. 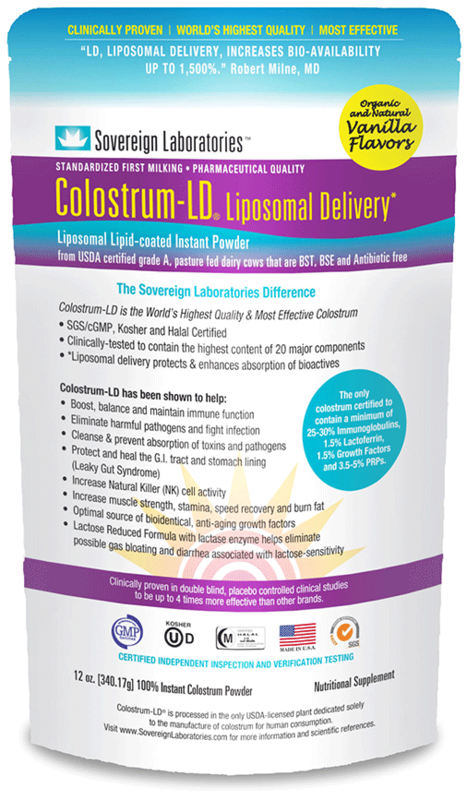 Colostrum-LD also contains a multitude of bioidentical growth factors including insulin-like growth factor (IgF-1), growth hormone (GH), and transforming growth factors (TgF). Colostrum-LD was developed by Douglas and Kaye Wyatt and has more than twenty-four years of research and study behind it. Questions relating to your specific medical or health condition as they pertain to colostrum should be directed to your physician. If your physician is not familiar with colostrum in general, or Colostrum LD® specifically, ask him/her contact us. We’d be happy to assist them with information about the importance of including colostrum in your daily diet; published clinical data supporting the use of bovine colostrum supplements; and protocols for including Colostrum LD® in complimentary medicine. Physician consultations are welcome.